Passionate intensity and technical prowess in these dark psalms. Schnittke wrote his Choir Concerto in 1985 setting texts from the Book of Lamentations by the Armenian mystic, Gregory of Narek. Written three years later for the commemoration of the Christianisation of Russia (which started with the baptism of grand Prince Vladimir in Kievan Rus), the Penitential Psalms set anonymous Lenten poems from an anthology of 16th century Old Russian texts. The twelve psalms live in the same sound-world as the Choir Concerto, and the texts' obsessions with original sin, full of sorrow, and lamentation, calls for music of great austerity yet great intensity from Schnittke. The vocal writing is often syllabic, highlighting the text, and Russian chant imbues the outlines of the melodies, but this is allied to a closely-knotted sense of harmony which, rather then giving a feeling of richness, creates a sort of dark austerity despite the clusters of notes. Schnittke's structures make great use of devices like canons, parallel movement of voices, and drones. 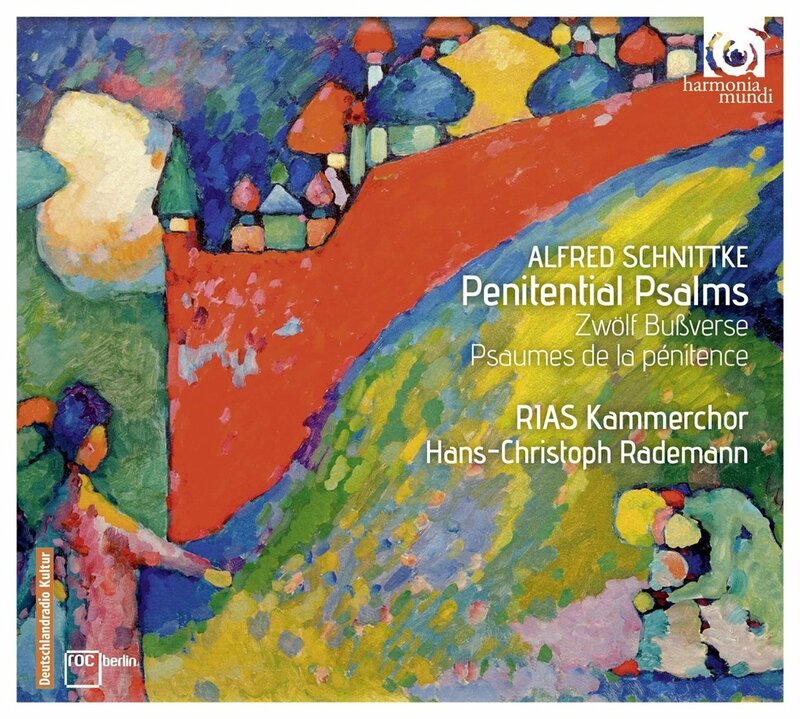 Overall the psalms are darker, more austere and more hard edged than the Choir Concerto, but Schnittke also introduces moments of great radiance, as briefly he allows the clouds to lift. The work opens with just lower voices, dark and intense with the angularity of the harmonies creating a feeling of austerity. The second psalm uses a tenor solo over choral drones to express music of great anxiety and anguish. These themes continue throughout the work. Though there are the moments of radiance when we hear the harmonised chant in all its glory, and movements like the eighth psalm which are gentle expressive, the overall tone of the work is one of sustained intensity and suffering. In his note in the programme book, conductor Hans-Christoph Rademann explains that in preparing the performance they were able to go back to Schnittke's original autograph and so remove many of the later accretions added by editors, as well as doing some basic corrections of notes. They accompany this major work with something a little smaller but no less impressive. The Penitential Psalms were premiered by the conductor Valery Polyansky and the USSR State Chamber Choir in 1988. Polyansky had already premiered Schnittke's Choir Concerto, but earlier than this in 1983 Polyansky had asked Schnittke for an unaccompanied work for choir and after first being denied, was presented with Three Sacred Hymns, (Hail, Mary, Lord Jesus Christ, Son of God and Our Father). The three are more lyrical than the penitential psalms, but still richly textured with some positively luscious harmonies and the second prayer is wonderfully radiant. This is a major recording of some of the 20th century's most significant unaccompanied sacred music in performances which demand to be listened to.